I appreciate them all. Stay tuned. Neat processing on this photo. Such a great visual for the metaphor of 'living in a bubble'. Thank you always for your work here, Carraol, and for your comments on my work. I learn from you every day. · Interesante efecto. Muy bien realizado, la realidad dentro de la realidad. Para ser original voy a escribir que interesante efecto, no fuera bromas esta muy bien aplicado, es la foto ideal para el efecto o al reves. 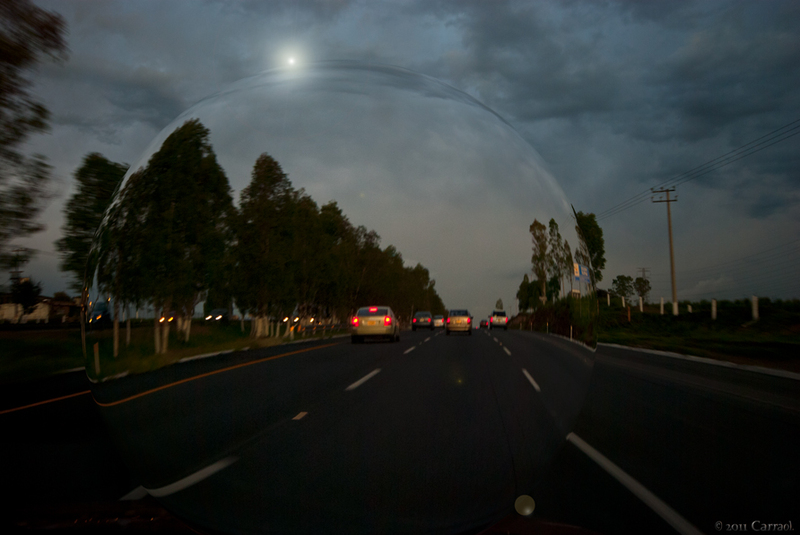 Such an amazing image Carraol,I like the way the sun bounces off the edge of the bubble, and the whole concept of the 'life in a bubble'. A genialidade torna o comum em algo excepcional! What can I say...others have identified the wonderful qualities of this photo, and I am speechless...it is so terrific!